177 Marlborough is located on the north side of Marlborough, between Dartmouth and Exeter, with 175 Marlborough to the east and 179 Marlborough to the west. 177 Marlborough was built for building contractor Silas Whiton Merrill ca. 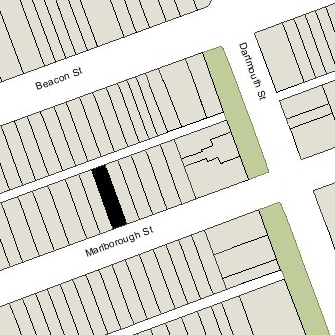 1871, for speculative sale, one of two contiguous houses (175-177 Marlborough). He purchased the land for 175 Marlborough from the Commonwealth of Massachusetts on August 31, 1871. Click here for an index to the deeds for 177 Marlborough. On March 13, 1873, 177 Marlborough was purchased from Silas Merrill by William Gaston. He and his wife, Louisa Augusta (Beecher) Gaston, made it their home. They previously had lived at 23 Linden Park. William Gaston was an attorney, served as Mayor of Roxbury, a member of the State Legislature, Mayor of Boston in1870 and1871, and Governor in 1875 and 1876. The Gastons’ two children, Sarah Howard Gaston and William Alexander Gaston, lived with them. William A. Gaston married in April of 1892 to May Davidson Lockwood. After their marriage, they lived at 587 Beacon. He was a lawyer in his father’s firm and later would become an organizer and president of the National Shawmut Bank. William Gaston died in January of 1894. Louisa Gaston continued to live at 177 Marlborough with their daughter, Sarah. In April of 1900, the house was damaged by fire, with the damage limited to the basement area. Louisa Gaston died in March of 1903, and 177 Marlborough became the property of William A. Gaston and Sarah Gaston. Sarah Gaston continued to live at 177 Marlborough until her death in October of 1914. William A. Gaston inherited her share of the property and leased it to others. By the 1915-1916 winter season, 177 Marlborough was the home of William A. Gaston’s brother-in-law, Hamilton DeForest Lockwood, and his wife, Maria Bond (Wheelwright) Lockwood. They previously had lived in Jamaica Plain. Hamilton Lockwood was treasurer of several cotton mills. They continued to live at 177 Marlborough during the 1924-1925 season, but had moved to 380 Marlborough by the next season. On July 18, 1925, William A. Gaston transferred 177 Marlborough to his son, John Gaston, and his son-in-law, John Kenneth Howard, as trustees for the benefit of John K. Howard and Ruth (Gaston) Howard. John Howard was a lawyer with William A. Gaston’s firm. John and Ruth Howard made 177 Marlborough their home. They previously had lived at 291 Commonwealth. They also maintained a home in Hamilton and later in Manchester. In November of 1928, John Howard applied for (and subsequently received) permission to construct a sleeping porch on the second floor at the rear of the building. In May of 1936, the Howards were divorced and John Howard moved to 13 Walnut. Ruth Howard remained at 177 Marlborough. In July of 1937, Ruth (Gaston) Howard remarried to attorney Lawrence Foster. 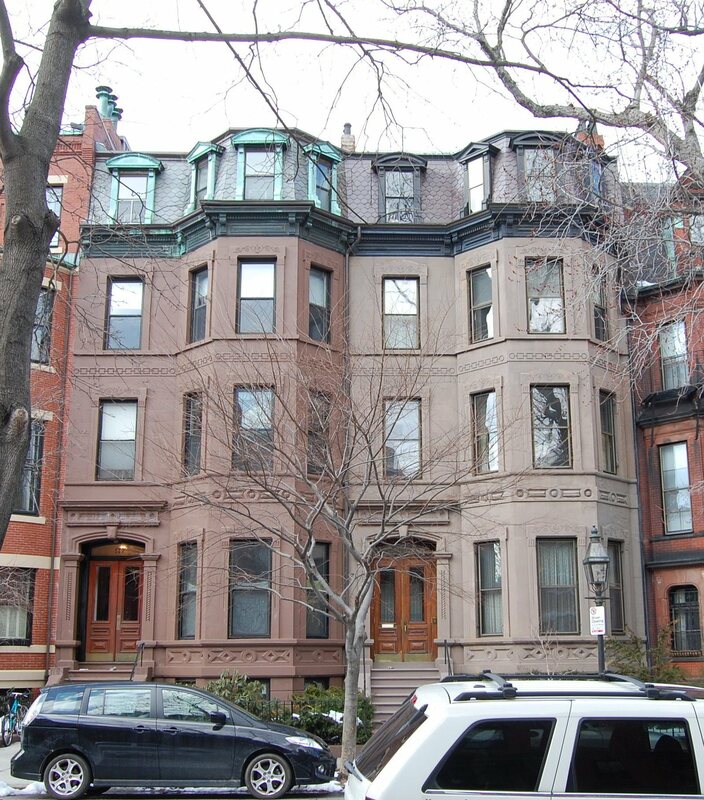 After their marriage, they lived at 177 Marlborough and also maintained a home in Manchester. 177 Marlborough continued to be owned by the trust established by William A. Gaston. The Fosters continued to live at 177 Marlborough until about 1943, when they made Manchester their primary residence. By 1944, 177 Marlborough became the home of Kung-Shou Wang and his wife, Lucy Wang. He was vice-consul for China. The Wangs continued to live at 177 Marlborough until the late 1940s. 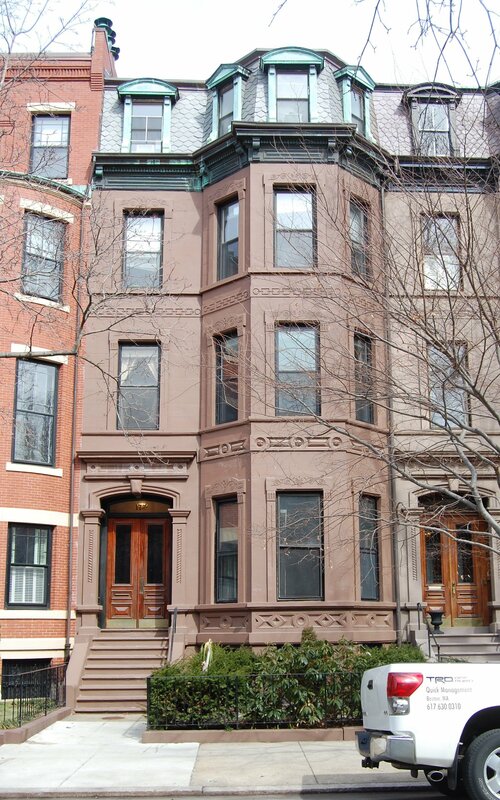 In August of 1948, Lawrence and Ruth Foster purchased 429 Marlborough as their Boston home. On October 10, 1949, 177 Marlborough was purchased from John Gaston and John K. Howard, trustees, by Edmund Joseph Picazio of Cambridge, and on August 25, 1950, it was acquired from him by his brother-in-law and sister, Claude Christian Leitner and Teresa Valentine (Picazio) King Leitner. They also lived in Cambridge. By 1951, they had leased the house to the Delta Theta Phi fraternity. On February 24, 1955, 177 Marlborough was acquired from the Leitners by real estate dealer Stuart Kates (Katze), and on August 17, 1965, it was acquired from him by attorney and real estate dealer Peter N. Kinder. 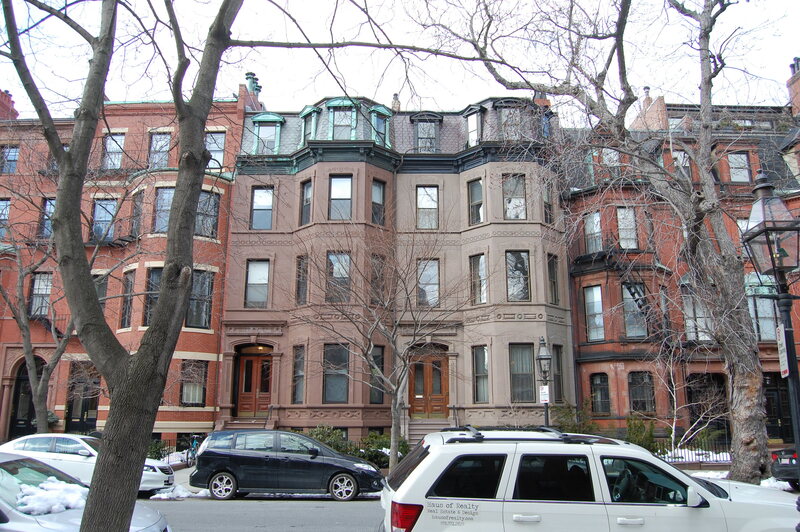 On December 21, 1983, 177 Marlborough was purchased from Pete Kinder by Peter E. Yaffe, trustee of the 177 Marlborough Street Realty Trust. In January of 1988, he filed for (and subsequently received) permission to change the occupancy from a guest house to nine apartments, which he indicated was the existing condition. 177 Marlborough remained an apartment building in 2016.